The mission of Bellingham Cohousing is to work together to create a diverse multigenerational neighborhood of 33 homes on the historic Donovan Farm site. We intend to be supportive of one another, share resources, and strive to be stewards of the land. We aspire to collaborate with the larger Bellingham community to build housing for mixed-income households. Bellingham Cohousing is a living situation that requires considerable neighbor participation. Bellingham Cohousing residents dedicate as much as 20 hours per month attending committee meetings, planning meals and community activities, and working on community projects. 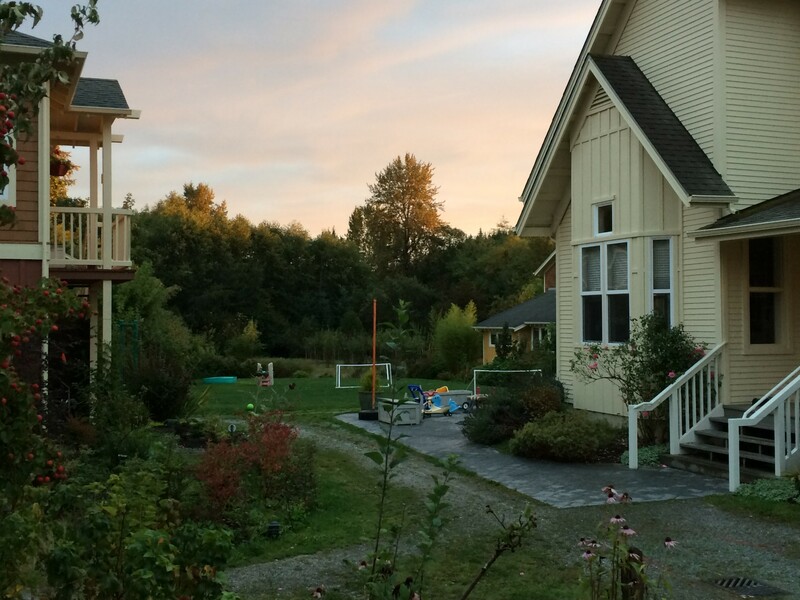 Although Bellingham Cohousing is a supportive community, it is not designed or intended to be an environment for individuals needing therapeutic levels of attention or care.